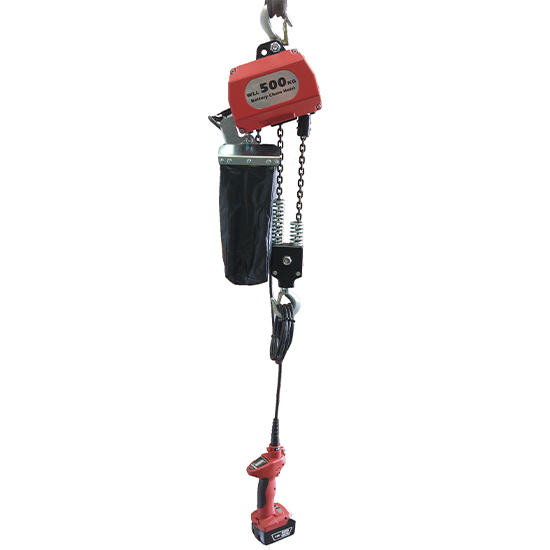 Our Mobitrac lightweight mobile crane offers a flexible and dynamic solution to your lifting needs. 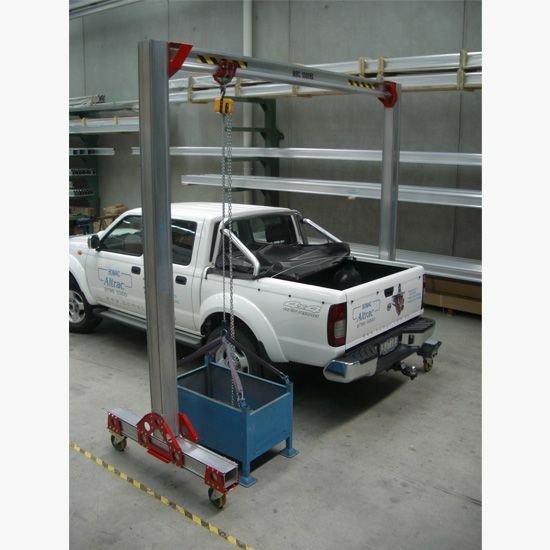 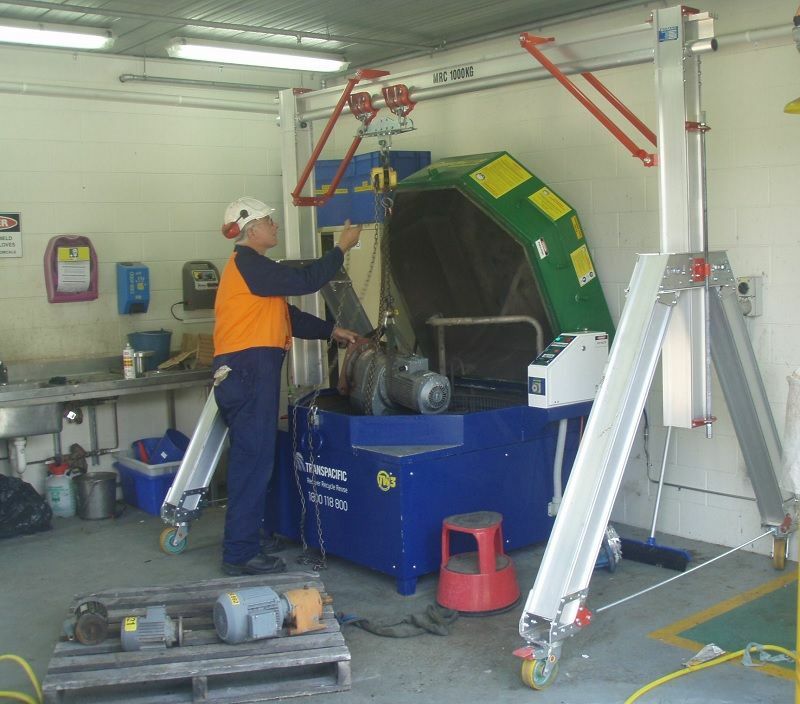 On sites where permanent lifting devices are not available/or required Mobitrac is your answer. 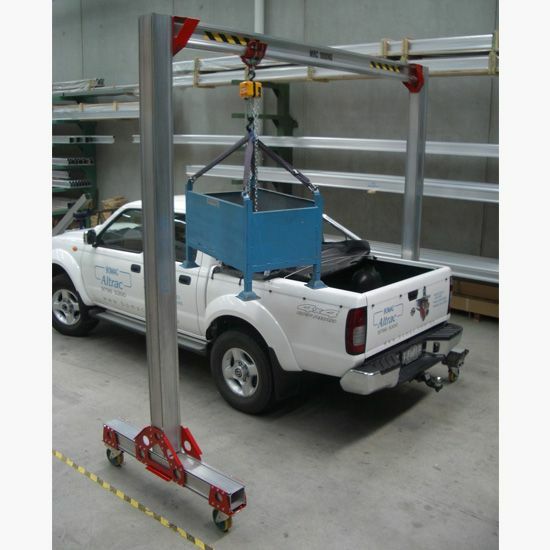 Mobitrac is a great solution for difficult areas that standard lifting equipment, such as forklifts cannot access, for unconventional working spaces where other lifting equipment is not available or for those who work onsite in a number of locations with varying lift requirements. 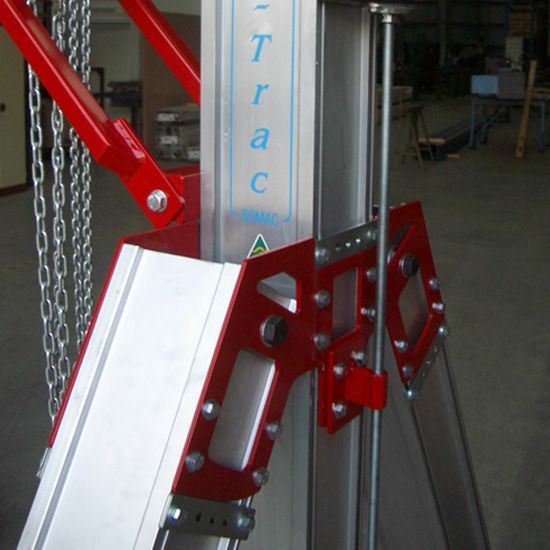 There are two main models available of Mobitrac. 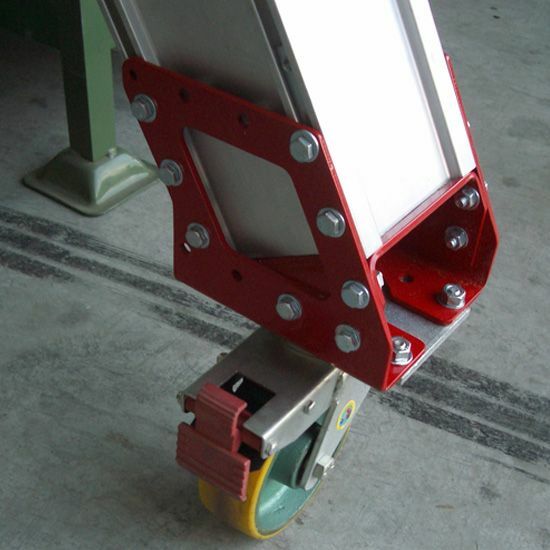 The Mobitrac Static model has a fixed height and width and may be supplied with or without castors. 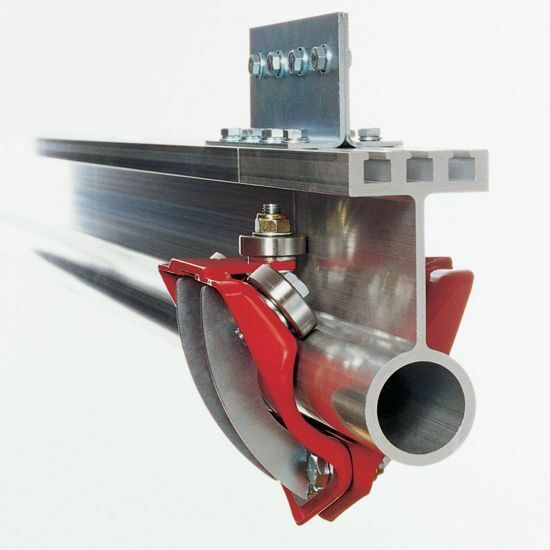 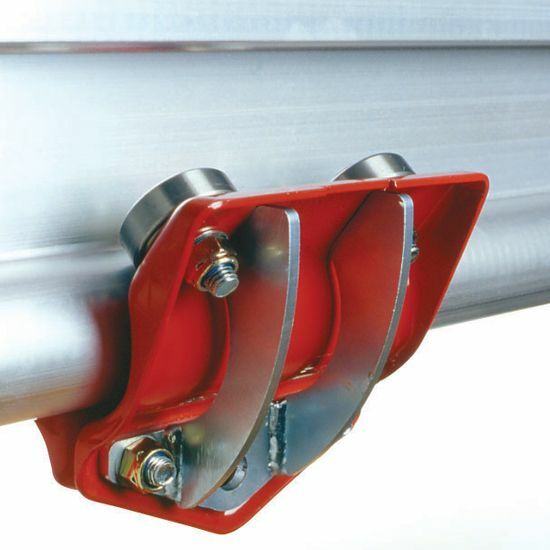 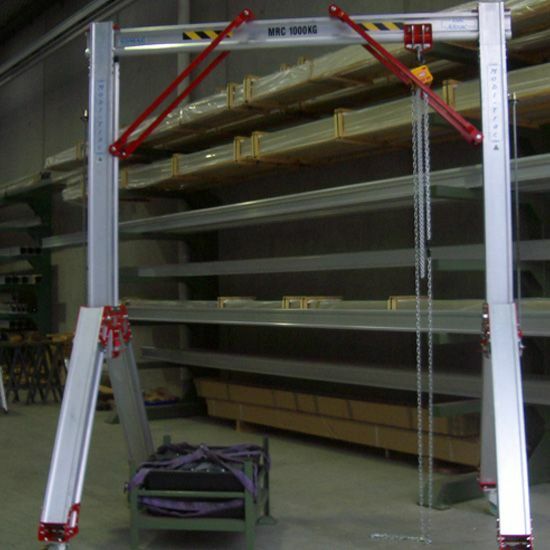 With its T-Frame end design the system is easy to erect and dismantle. 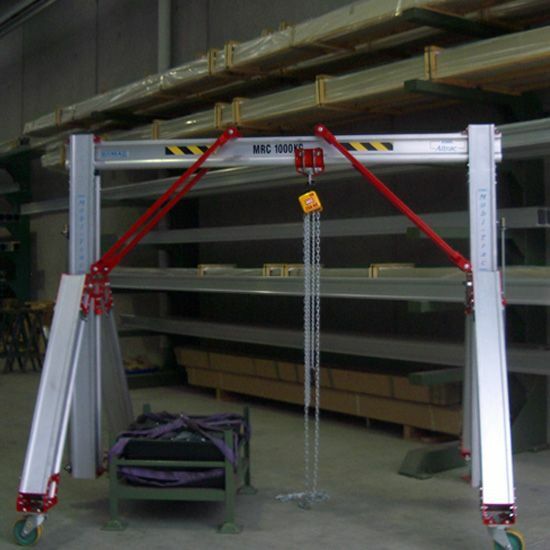 The Mobitrac Dynamic is an adjustable model in both height and width of the unit. 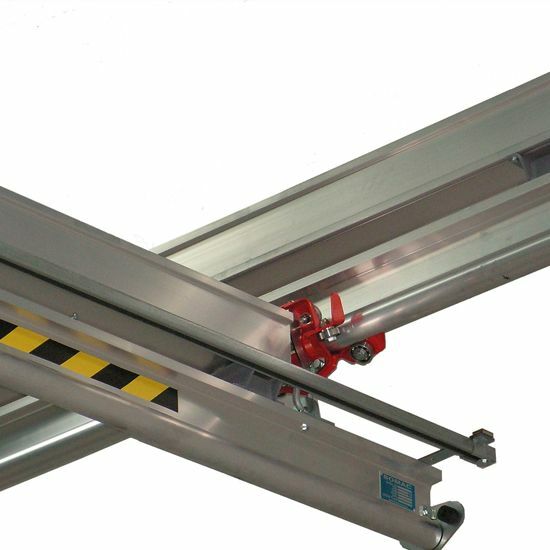 Height can be infinitely adjusted with the use of a cordless power tool (not included) for the exact height required. 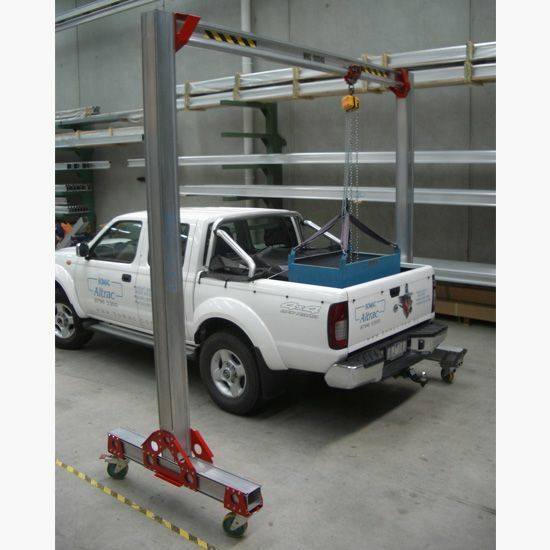 With legs that fold up and a jacking system that allows the wheels to be attached easily the Mobitrac Dynamic model can be quickly and safely erected/dismantled for transportation in the back of a ute.